MARINA DEL REY — Recreational boaters learned of Los Angeles County’s latest efforts to create a “boater-friendly Marina del Rey” during a March 13 Small Craft Harbor Commission meeting, with the announcement that a new Boating Section has been created. With stated goals of promoting recreational boating as a family friendly activity in Marina del Rey, the Los Angeles Department of Beaches and Harbors Boating Section is aimed at supporting local boaters. In her role, Talbot will continue to interface with local boaters to gather their input and educate the public on the new section. Thus far, she has met with charter boat operators, yacht clubs and sailing associations, and the Catalina Fleet of Santa Monica Bay. She will provide a presentation to California Yacht Club in April. “We have found her door completely open,” said Liz Greenberger, director of RowLA. She has been working with Talbot to move the nonprofit organization’s staging area from Mothers Beach to Parcel 77, to provide a safer area to house rowing equipment. However, some boaters claim the outreach excludes recreational boaters. “The Boating Section outreach is going to 5 percent of boaters,” said Jon Nahhas, of the Boating Coalition. Talbot explained that she has not turned down any requests for presentations or information on the new section. “My door is always open,” she said. Talbot, a Catalina 36 sailboat owner and a longtime Marina del Rey resident, said she has a passion for seeing the section’s goals and objectives through — mainly because, as a boater, she understands what boaters want. Talbot presented the Boating Section’s many goals and objectives — including providing a shared boating environment with greater access to the water for all vessels in the marina, from stand-up paddleboards to mega-yachts. She intends to hold strategic planning meetings with the boating community to form a consensus on direction and actions for the marina. Talbot and a Boating Section marina manager will be the go-to people for inquiries related to redevelopment of anchorages, as the section manages and operates Anchorage 47, Parcel 77 dry-stack storage, mast-up storage facilities, and dinghy and kayak storage, along with the bike storage lockers in Marina del Rey. Creating a better-serving marina is also a Boating Section objective — and one way to accomplish that is providing boaters with additional pumpout stations in the marina (there are currently four). Other ideas include adding more public docks, expanding dock and dine locations, and modernizing anchorages. 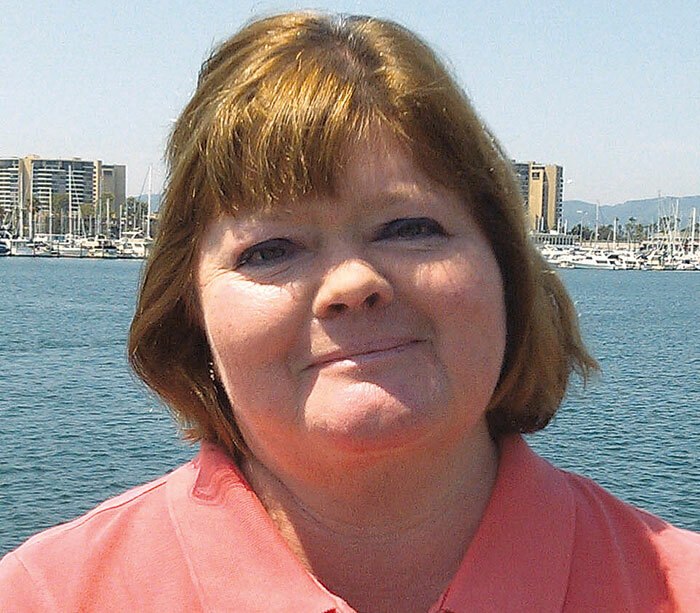 Talbot, who served as the public information officer for the Department of Beaches and Harbor for 10.5 years, also serves as the project manager for Marina del Rey’s successful Waterbus service. Talbot is also taking on the role of marine special event coordinator. Efforts to promote recreational boating came in the form of a partnership among the county, the National Marine Manufacturers Association, the Los Angeles Convention Center and the Los Angeles Boat Show earlier this year, she said. In February, Talbot was instrumental in helping bring a big boat show back to Marina del Rey by providing an in-water area in Marina del Rey for the Los Angeles Boat Show. Vessels were on display on the water at Burton Chace Park, and complimentary shuttle service was provided between the convention center and the marina. Other upcoming boating events include Marina Fest in May, a Summer Solstice event in June and the December Marina del Rey Holiday Boat Parade. Talbot is also working to bring a tall ship festival to the marina this summer. Talbot invited the public to stop by her office at 13837 Fiji Way with any questions about the new Boating Section, or to talk about boating in Marina del Rey. For more information on the Boating Section, call (310) 821-5242.